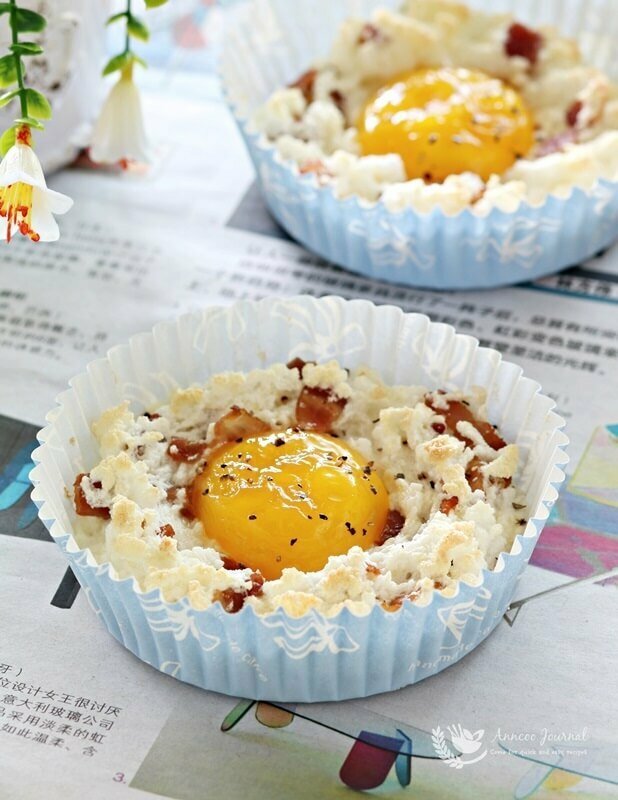 If you love to have egg for your breakfast, you may also like to try this savoury light and fluffy baked egg whites with the egg yolk nestled on top. 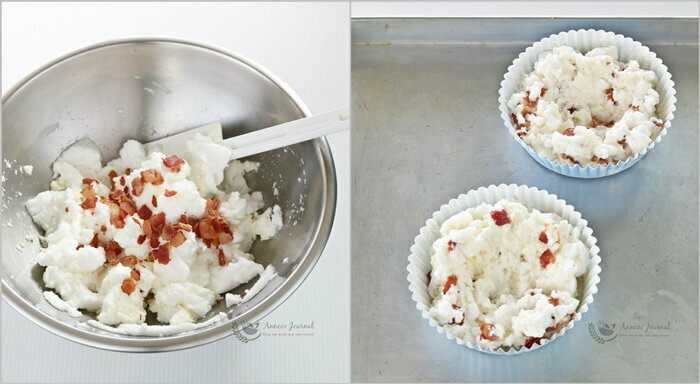 The egg white is puffy too with a mixture of fried bacon and parmesan cheese, just like biting into a cloud! 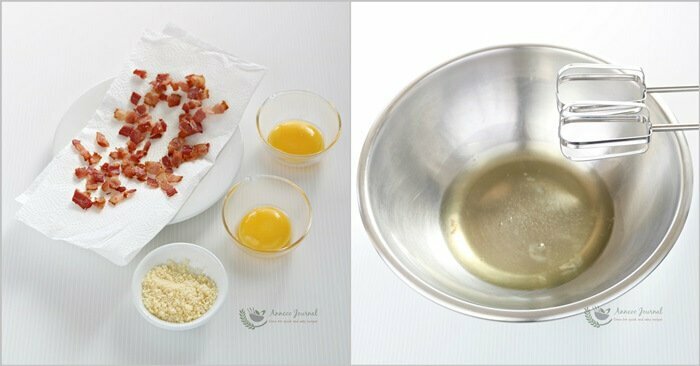 Cut bacon into small pieces and fry till browned, dish up onto a kitchen paper to absorb excess oil. Separate egg yolks and whites. 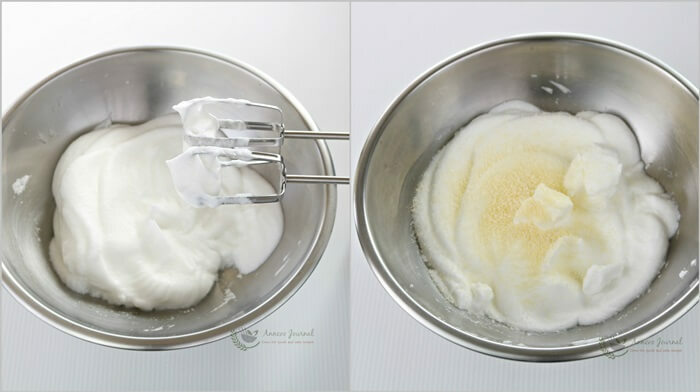 Whisk egg whites with a pinch of salt until stiff peak form. Sift in cheese powder and fold gently. Then roughly fold in bacon pieces. The egg white will deflate if over folded. Divide the egg white mixtures into 2 cloud. Make a deep well in the center with the back of a spoon. 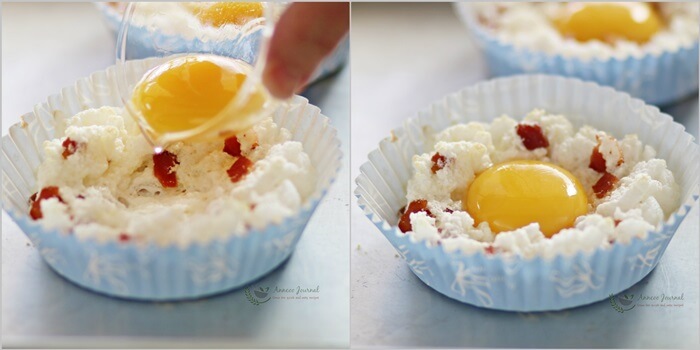 Bake in preheated oven for 5 minutes at 200 deg C.
Remove from the oven and gently drop an egg yolk into each cloud. Season with little salt and a dash of black pepper on top. Return to the oven and continue to bake for another 3 minutes and ready to serve. 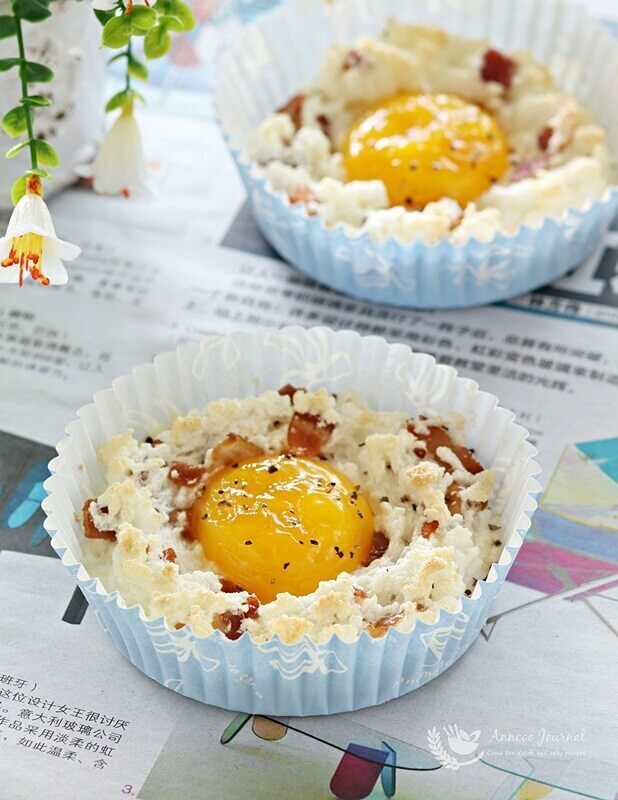 This is such a unique way to eat eggs! I love the presentation, so pretty! This is a wonderful breakfast idea, Ann! Love the clicks! This would be a perfect looking thing for breakfast! That’s a creative and fun way to enjoy an egg! What an unusual way to serve eggs for breakfast! Looks very pretty and fancy.